So, I tried to avoid the sale completely. 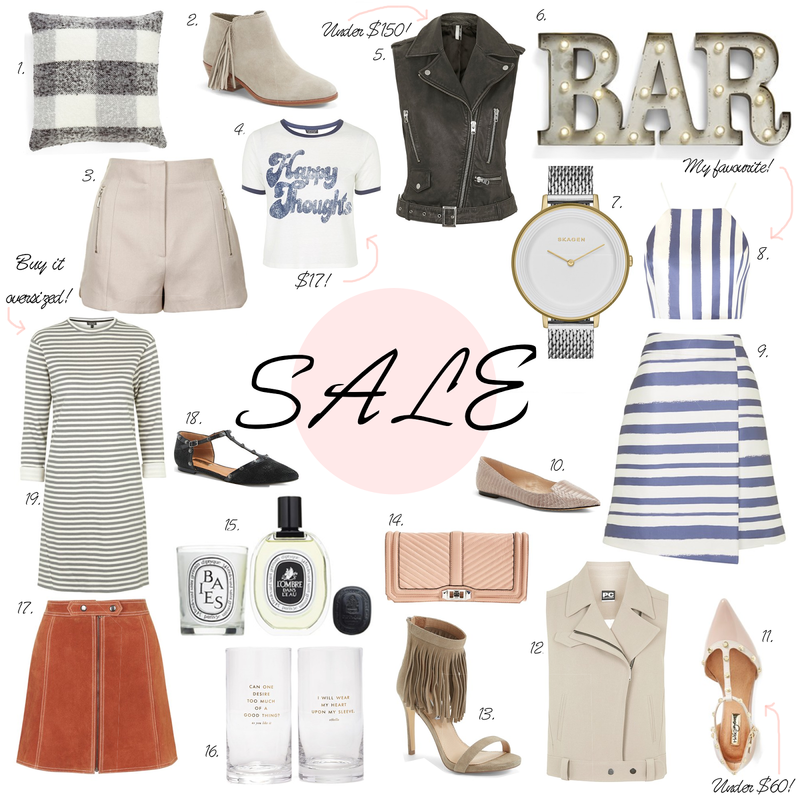 I almost didn’t do a post on the Nordstrom sale at all. But, a few days into the sale, here I am, with a whole slew of things to share with you. I always have a ton of fun putting these posts together but it can be difficult not to hit ‘add to bag’ on every item. I can’t believe how many awesome pieces are still in stock! I’ve got my eye on THIS top and the MATCHING SKIRT for my up coming engagement party. The dainty BLUSH FLATS would be perfect with it and would certainly keep me comfy for the evening. It would also be a great choice if you’re attending a wedding this summer. The shape of the skirt is universally flattering so you can’t go wrong! The rust coloured LEATHER SKIRT is all the rage right now. I already have one in both the rust and denim but I love this one even more! It would create the ultimate 70’s vibe when paired with the ‘Happy thoughts’ Tee and casual sandals. I hope you enjoy my picks! Which is your favourite? Have you already done your damage in the sale? I’d love to know!